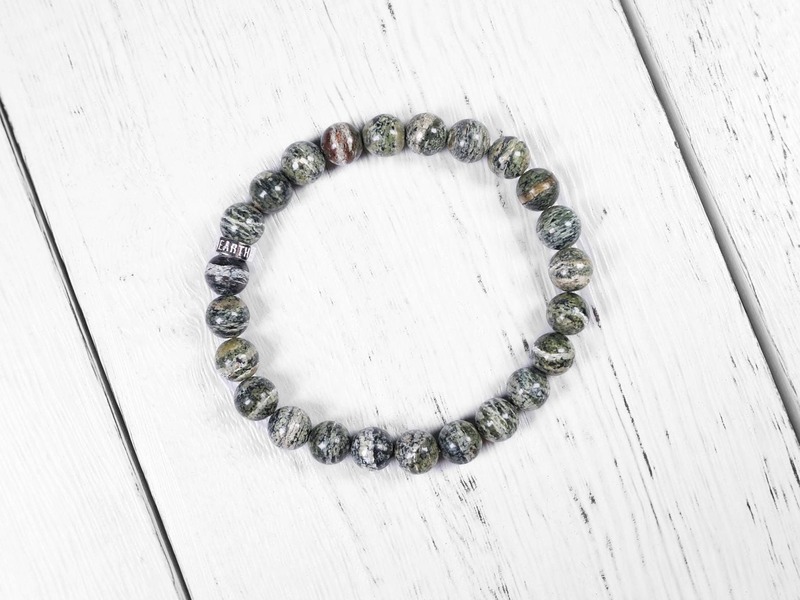 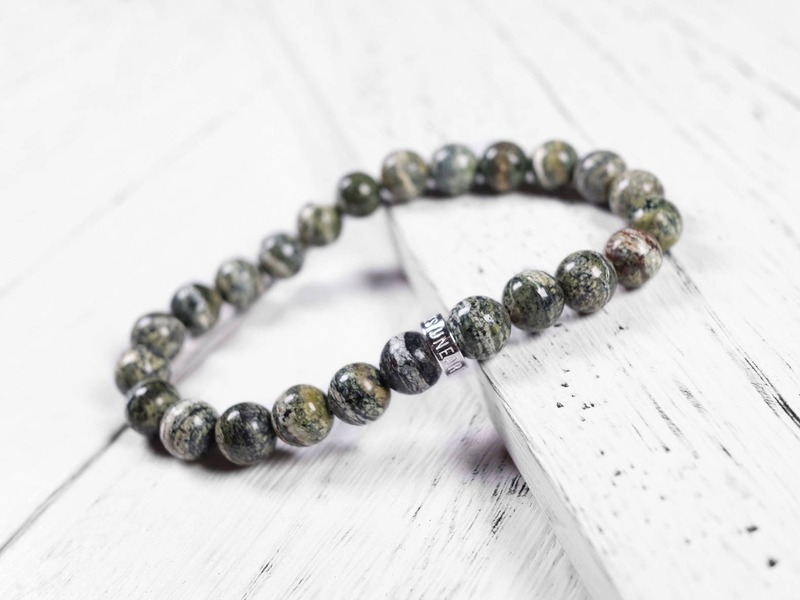 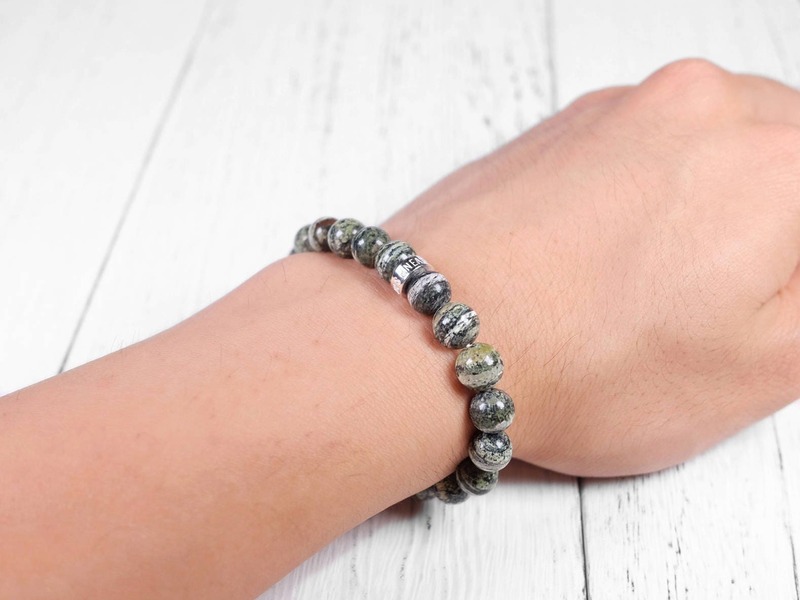 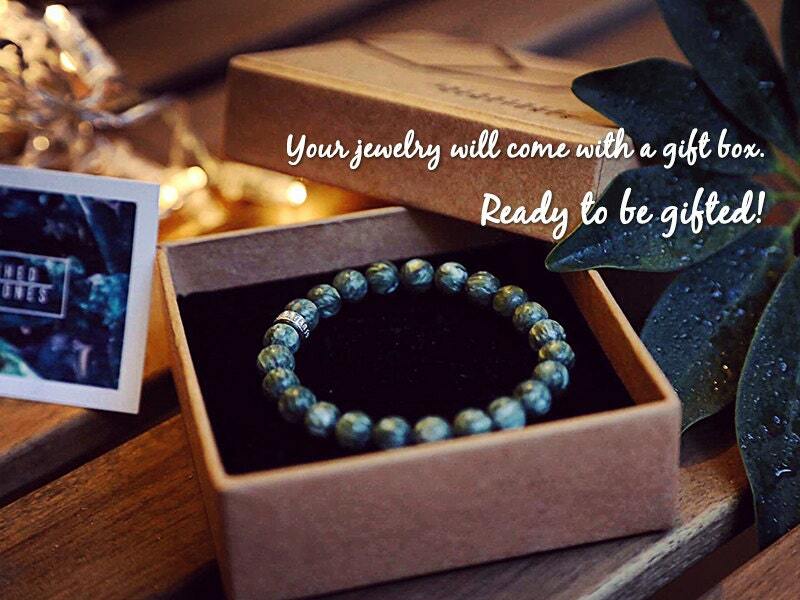 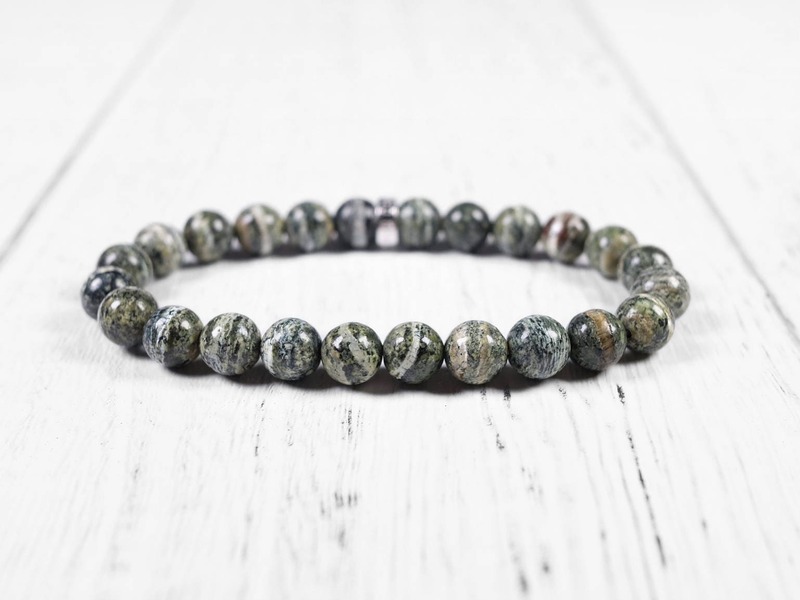 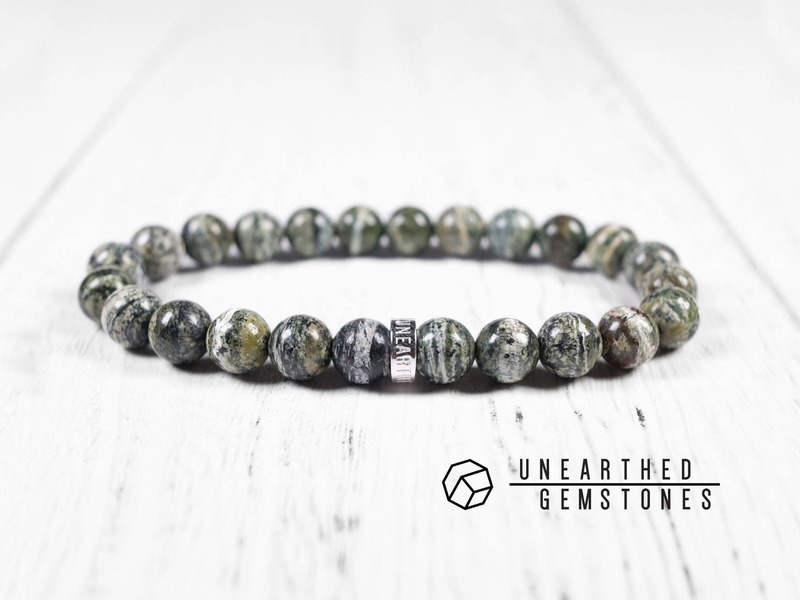 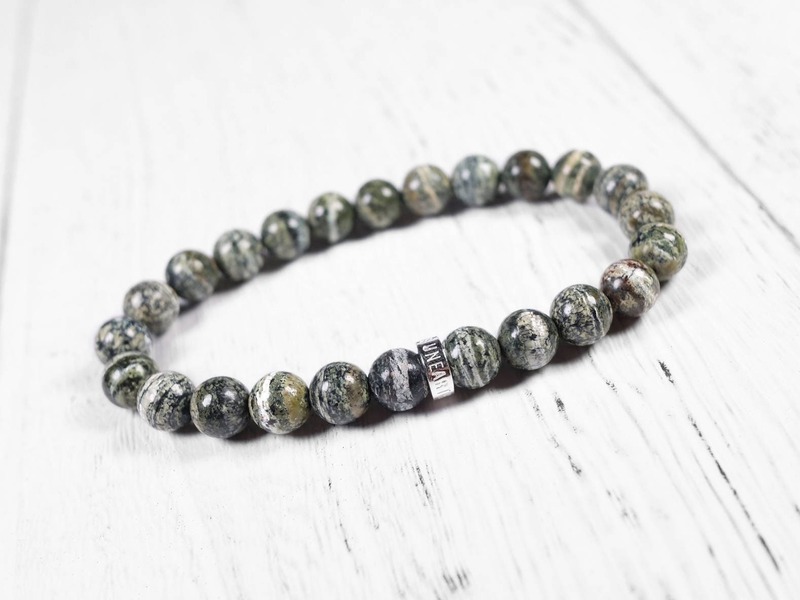 A gemstone bracelet made with green zebra jasper. 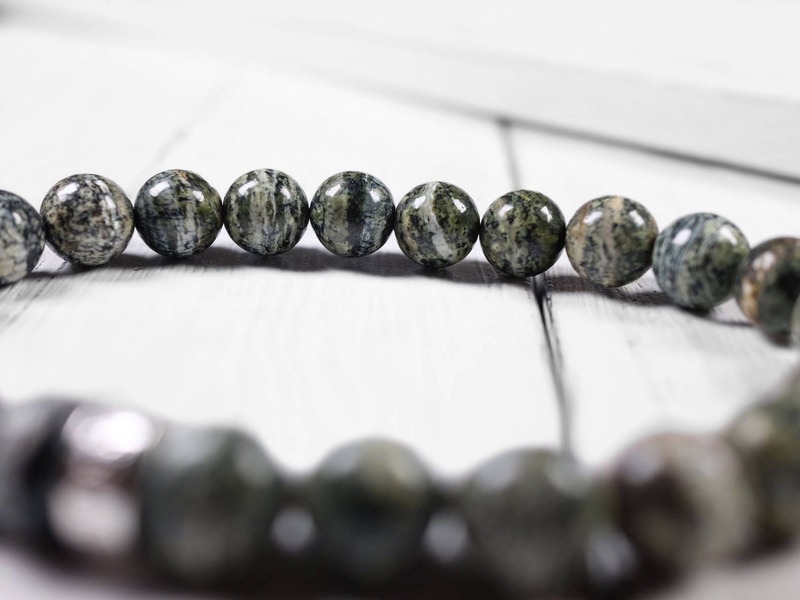 Unique stone with white horizontal lines across the dark green surface. 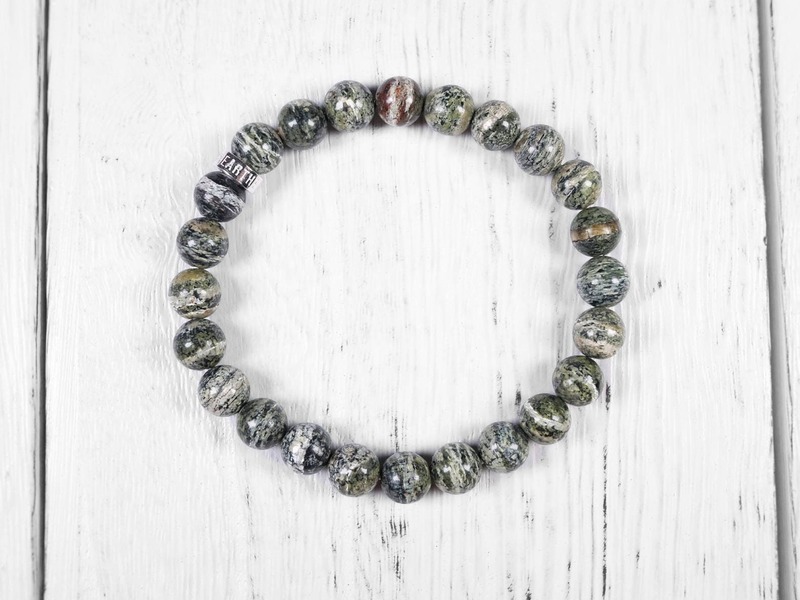 Each stone has its unique pattern. 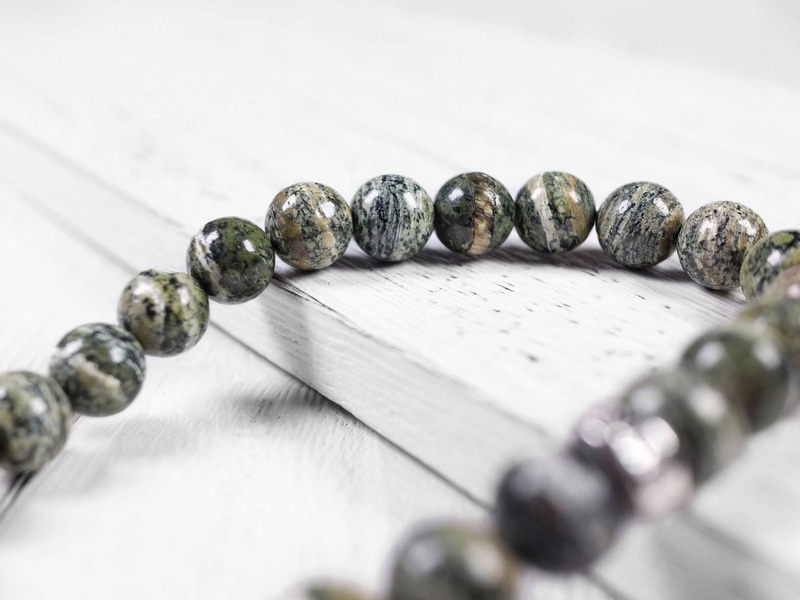 The green and white color is a great choice for day-to-day wear.